Having amazing images of all the great moments in our lives, as well as those that are special to us is great. However, the trouble is that photography isn’t always the easiest things to get to grips with. 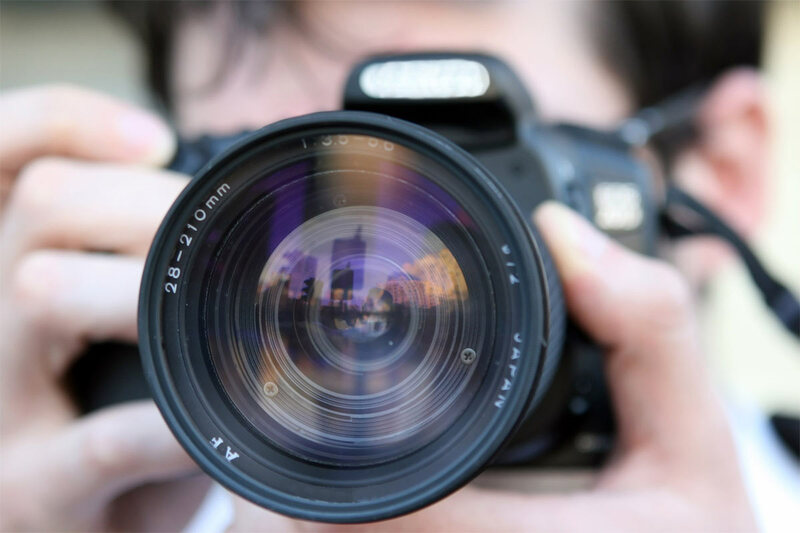 Here at Daz Mack we are experts in all thing’s photography, and to help you to take some better pictures yourself, we have put together our guide to some of the most basic photography hints and tips that you can try out for yourself. When you see other people taking photos, chances are that they will have lots of lenses and pieces of equipment that they use. Of course, as you improve your skills you can start to buy more bits to add to your collection, but in those early days, it is best to focus on only the most basic of equipment. That said, if you are planning on taking some pictures and you want them to be as clear as possible, then you may want to consider buying a tripod. They don’t cost a lot and the best thing is that they stop shaky hand syndrome, which is one of the main things that you need to stop to improve your image quality. The chance to take a great shot will come when you least expect it. Which means that you really should get used to carrying it around with you. Of course, this isn’t always possible, so if you do notice a great shot whilst you are out and about, then make a note of the location and go back when you can. One of the things that sets great photographers apart from good photographers is the fact that they can see amazing images in the most mundane of things. When you can pinpoint what is going to make a great photo, then you are going to definitely improve your photography skills as much as possible. It can be a little overwhelming taking a look at all the settings on your camera. But it is these settings that are going to really help you to take the best shots possible. Take the time to sit down and get to know all the settings on your camera. This might take you a little while, but it is definitely something that is worthwhile making an effort to do. Taking photos of things that you like or that you care about is much easier than trying to force yourself to take pictures of things that you are not particularly interested in. This is why many photographers in the professional world have specialisms. You might like natural shots, you might prefer taking pictures of pets and other animals, or you may love the idea of being able to take fun shots of kids. Once you know what your niche is, you can start to work on mastering your skills. Of course, there are some basics that you need to learn when it comes to photography and it is great to get to grips with these rules. However, as we all know, sometimes rules are meant to be broken. Sometimes the best way to get the images that you want is to be bold, be brave and experiment as much as you can. After all, digital shots and digital cameras allow you to make mistakes and then just delete them and move on. Rather than worrying about having to develop it and then realise that your images are not the best. It can be hard to enjoy things when you are trying to get to grips with it. However, with photography, if you don’t remember to enjoy yourself then chances are that you are never going to get the images that you want. Smile, relax and just enjoy the moment. This could be all you need to get the right shots. After all, if you are relaxed and feeling great, then the person who you are trying to take a picture of, especially if they are kids, will also relax. So, now you know some of the basics of photography, if you want to find out more than speak to us here at Daz Mack, not only can we help you to improve your own photography, but we can also help you to capture images that you can treasure forever. Be that of a special day, a celebration or perhaps those who are most important to you in your life.